Mobile games are now phenomenally popular and gaming apps are the number one category in Apple’s App Store by revenue, engagement and availability. Games such a Pokémon Go and Clash Royale continue to dominate in the UK and US and mobile games will generate $70 billion dollars in revenue by the end of 2018. Developing a mobile game can run into figures of up to hundreds of thousands of dollars – especially for larger game titles like Clash of Clans – with an estimated development time between 6 to 9 months. But marketing a mobile game is just as important as game development. In a competitive market, with large studios spending millions of dollars on glossy TV and digital ad campaigns, it can a be a daunting experience launching a mobile game once it’s ready to hit the market. After defining your target audience, defining your business objectives and USPs – the next step is to create, enact and evaluate an effective marketing strategy. Having a presence outside of the app store environment is notably one of the most common practices for mobile game developers. Not only is it important for showcasing core features of your game such as images, USPs, video previews and news, but it’s a vital part of a marketing strategy. Your website should be used as a tool to provide awareness of your game, generate leads and at the same time collect important information about your target audience. Diving into tools such as Google Analytics will provide you with information on where your potential users might be and how they are interacting with the content on the site can be used to develop your marketing strategy. If your mobile game’s targeted towards international markets, localising the website for each market will increase traffic and engagement. For example, Supercell’s Clash Royale has a prominent language tab next to the navigation menu and offers an additional 14 other languages to choose from. Landing pages should always feature high-res images, relevant keywords, prominent social media buttons and clear call to actions that redirect users to app stores. It’s important to remember your website is there for the one thing: to increase game downloads. Customer reviews play a major role in consumer purchasing decisions whether they’re focused on bars and restaurants or apps and electronic products. In a market that’s saturated with new mobile games and apps, customer reviews will eventually affect how a mobile game will feature in an app store in general and how they appear in app store search result pages. For a new game that’s yet to achieve commercial success, it’s important to generate as many reviews as possible. In addition to app store optimisation, customer reviews allow you to monitor feedback for areas of development. For example, a user may report errors or other issues with functionality which would prompt you to develop an update for a bug fix. While few users flock to write reviews unless it is to document a problem or bad experience, there are a few simple ways you can encourage positive review ratings. Firstly, installing an app review plugin will allow you to prompt users to review your mobile game after a number of sessions or a set time period. If they wish to rate the game, they’re taken directly to the app store to complete a review. Appirater is a popular open-sourced plugin with features including; how many days or sessions until a prompt is shown, prompting after a particular event and a ‘remind me’ functionality. Including a feedback button which redirects to the user’s email client or messaging app adds an extra layer of communication between you and the user. Helpshift, a mobile customer service platform comes with its own app review plugin and can direct the user to a live chat window rather than the app store. This helps to minimise negative reviews by dealing with feedback directly with the user. If you have localised versions of your mobile game in markets such as China, your chosen open-source plugin should be configured to the Android operating system – China’s Android device penetration is 71.4% vs iOS at 27.1%. Forums, on the other hand, can be used as tools to build trust which allows users to generate discussions about their experiences and create a sense of community which ultimately adds value to the user and developer. Forums are best placed on the mobile games website and should be the common meeting ground for new and dedicated users alike. While you’re bound to host both positive and negative discussions, it’s a great opportunity for you to listen to users and also join in the conversation. This enables you to gain insights into your game’s popularity with your target audience and to detect opportunities to optimise the user experience alongside data from feedback forms. Social Media should be a fundamental part your marketing strategy to generate attention and excitement about the launch of your title and as the main platform for you to actively connect with your users as a brand. Not all platforms work for every mobile game but regular posts with news, updates and special promotions should be as standard – plus engaging with followers if they comment or share your posts which can help to organically grow your user base. Starting a benchmarking project and analysing competitor activity will allow you to set social media KPIs to monitor as social media engagement increases. 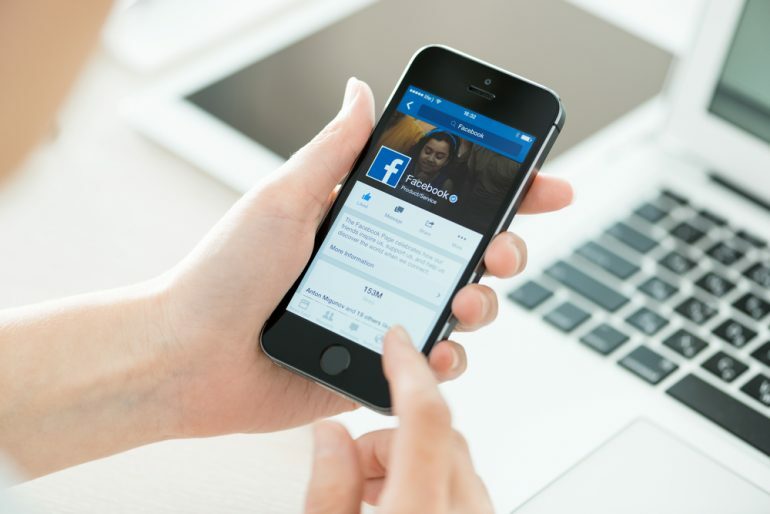 Connecting a user’s Facebook account to mobile apps and games is now commonplace. Using this feature allows users to share their activity with friends which ultimately acts as free advertising for a developer’s game. There’s also the added benefit of Facebook’s paid advertising and analytics platforms in order to increase awareness and downloads to your target audience using its Custom Audiences and Lookalike Audience features. South Korean developer, NHN Entertainment implemented a pre-registration campaign before it launched its role-playing game, Crusader Quest. It targeted its ads on role-playing game fans, high-paying gamers and gamers who enjoyed retro games in over 20 countries. With a cost of $1.50-$3.00 per install, NHN entertainment received 600,000 downloads in 6 months with twice the ROI on ad spend compared to other media. Videos are a great alternative to text-based descriptions of games. Adding gameplay to sites such as YouTube and Vimeo will increase your games awareness as dedicated gamers are more likely to search video sharing platforms to inform their purchase decisions. YouTube advertising can also be used to support this. Its also worth researching streaming sites in local markets if you’re mobile game receives international attention. Alongside YouTube, Afreeca TV is popular in South Korea as well as Youku in China. YouTube Gaming and Twitch would be the next social sites to focus on. Both are internationally popular with gamers who live stream their gameplay of popular PC, Console and mobile games. Twitch in particular has massive potential for game marketing, with over 15 million daily active users, 220,000 Twitch affiliates, and over 726 million hours watched per month. The platform is still increasing in influence, with a 44.39% increase in average viewers in this past year alone. This could lead to another channel to utilise in the future depending on your target audience and commercial success of your game. Like SEO for websites, App Store Optimisation (ASO) is used in the same way get apps to the top of search results pages in app stores and developers are advised to optimise accordingly for better discoverability. Keywords play important roles in ASO, both in app titles and descriptions. This can be a challenge for mobile games developers when it comes to optimising the title – if you’re developing an MMORPG mobile game, chances are, you’re not going to have MMORPG in the title. Adding the right keywords in a mobile game description will ultimately make the most difference. A good ASO strategy should have a healthy mix of what’s relevant to your game and what the user naturally searches for. Keep in mind how the user would describe your game and the language they would naturally use to search for it. You can also use tools like Google Adwords Keyword Planner, Sensor Tower or AppTweak to see how users are searching for mobile apps like yours in general before applying any relevant terms to your app store titles and descriptions. Benchmarking against keywords used by competitors would also provide a head start when fleshing out mobile game description content. Other factors such as the number of downloads, ratings and reviews, also affect search results but these can be nurtured by over time by continuing to engage with users on social media, forums and using feedback to optimise game development. A happy user will ultimately want to leave a good review. Developers with localised versions of mobile games are encouraged to partner with local companies to gain the right insights into new audiences. A partnership with companies like China’s Tencent will not only help with discoverability in China’s most popular app store (Google Play Store only ranks #19) but can also have a vast impact on a games social media presence and engagement with Chinese users on reviews and feedback forms. Ultimately, a marketing plan is part of a larger, long-term strategy. Putting these practices into place, analysing performance and making adjustments accordingly will enable you to reach more users and increase downloads. Are Fan Translations Good or Bad?